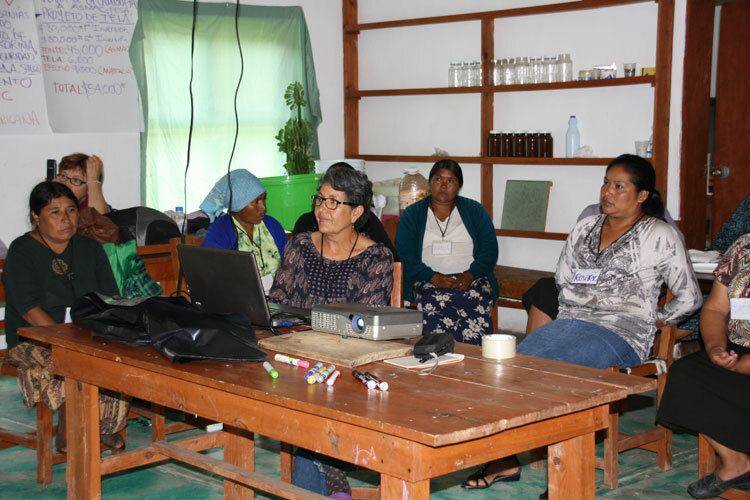 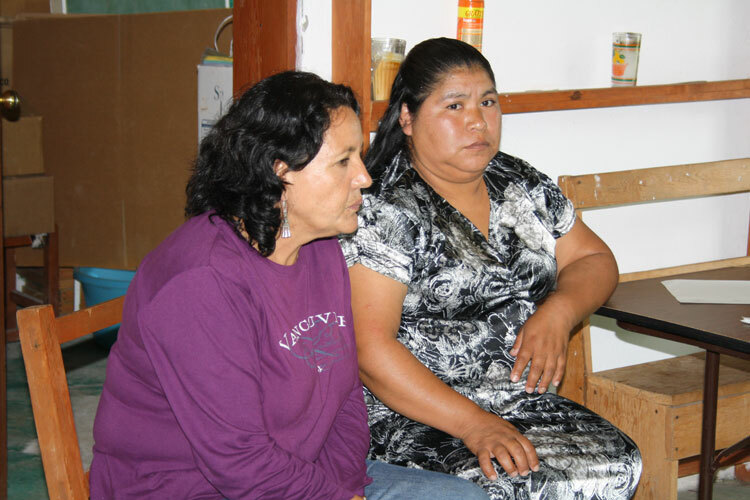 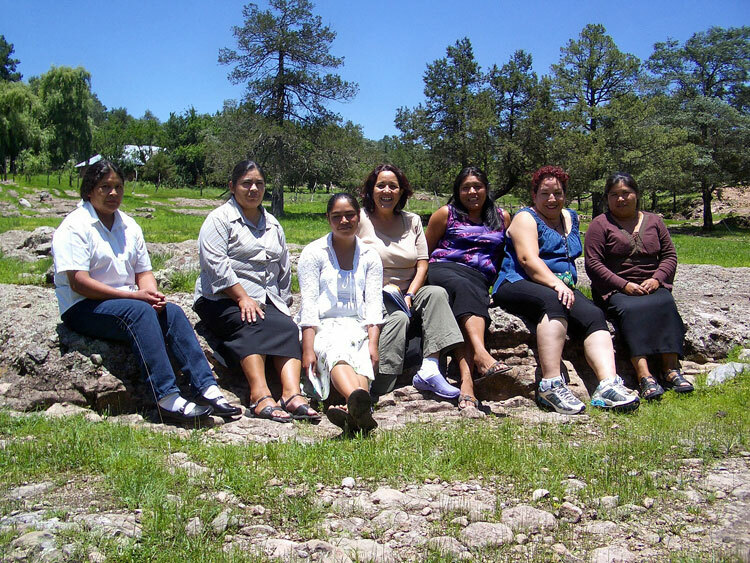 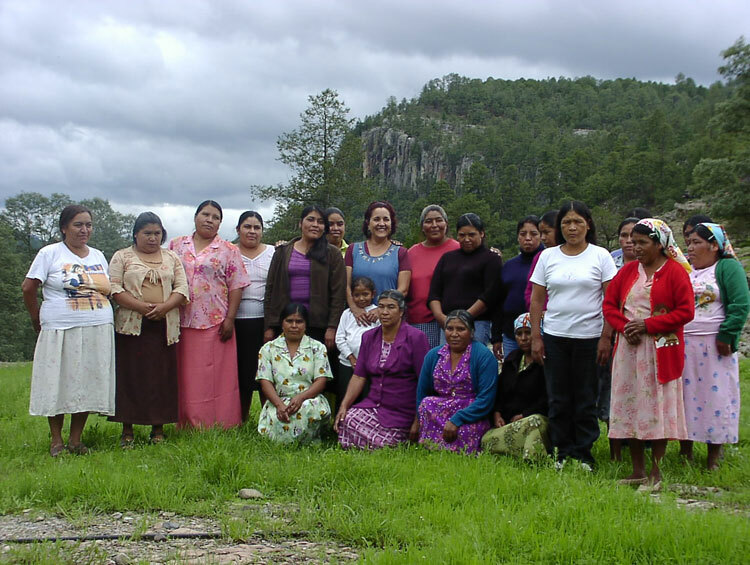 the Tarahumara and the Tepehuanes, have come together to create a new basis for existence. 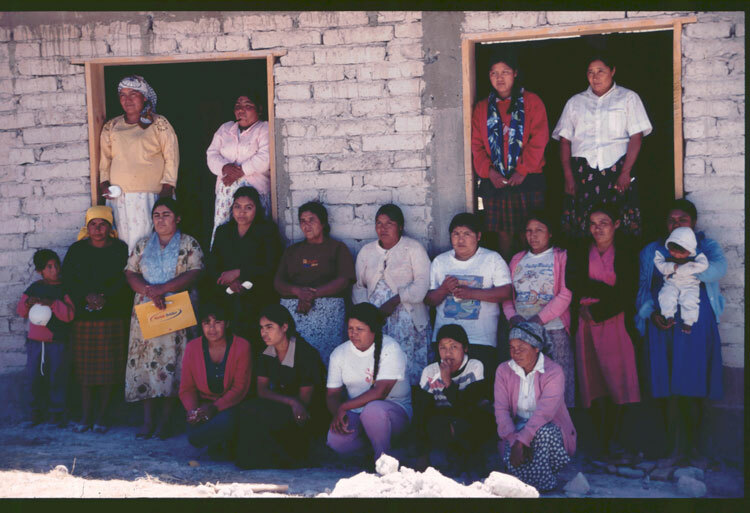 Before that, they had mostly been on their own - not a few of them were widows who had lost their husbands in acts of violence committed by the drug mafia - and they and their families lived from their own gardens and fields or as poorly paid servants in the households of the Mestizos or as helpers on the drug-raising fields in the gorges of the Sierra Tarahumara mountains. 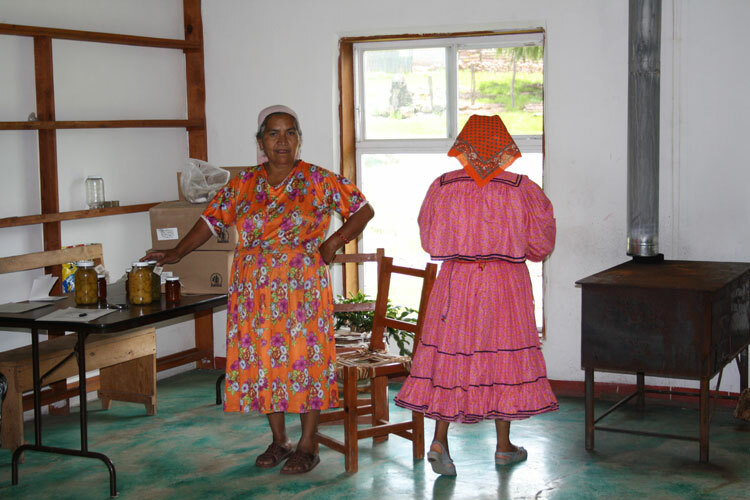 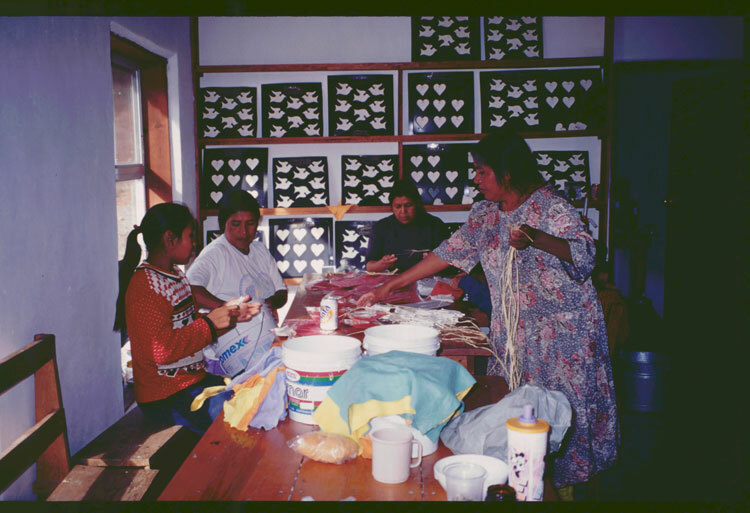 In the cooperative they began by crafting products from hand-made paper, then they began to make fruit and vegetables preserves and sell them in the local market. 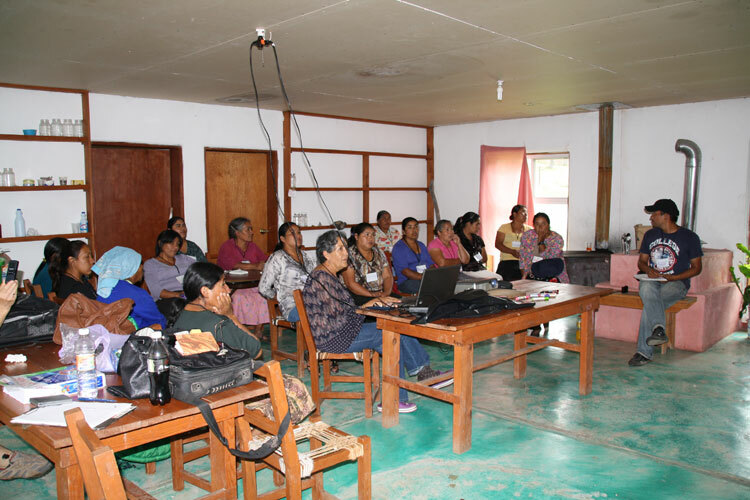 The founding assembly was held under a tree; today the cooperative has its own meeting house. 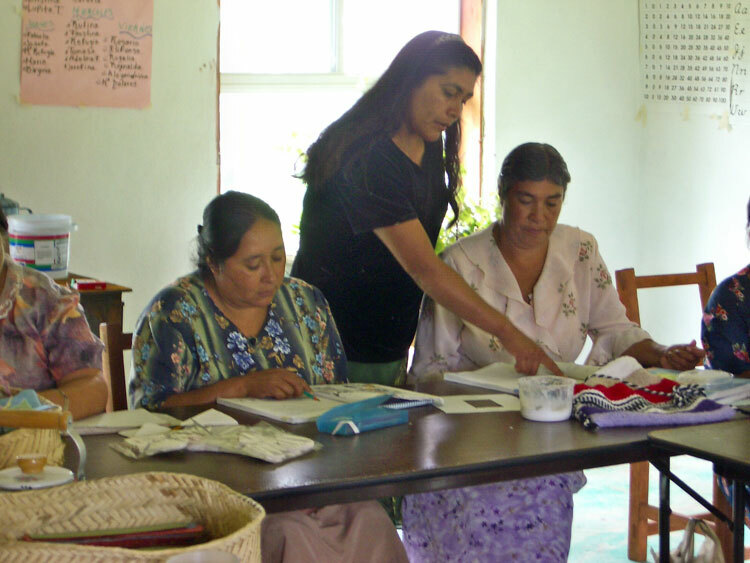 Once the women almost all illiterate;today they have all learned to read and write and can manage their cooperative without external support. 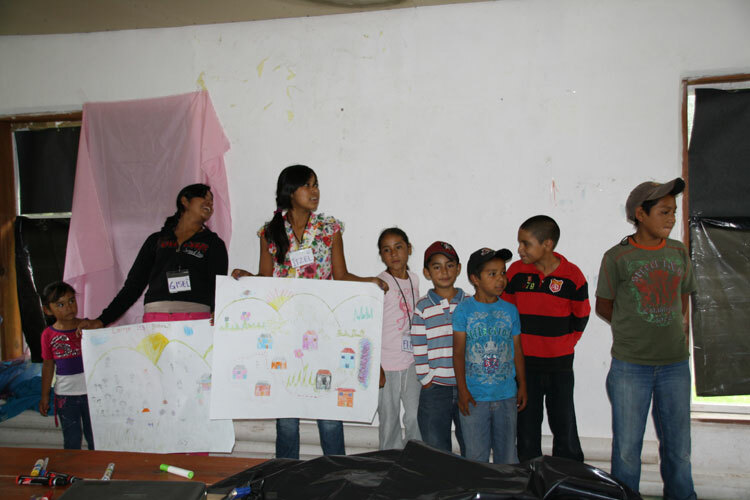 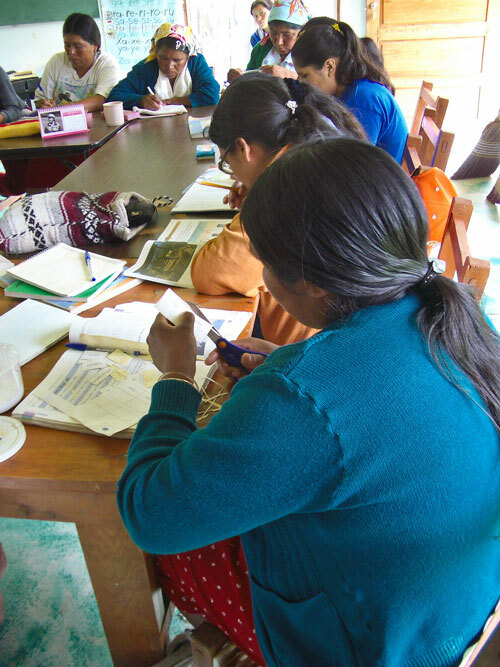 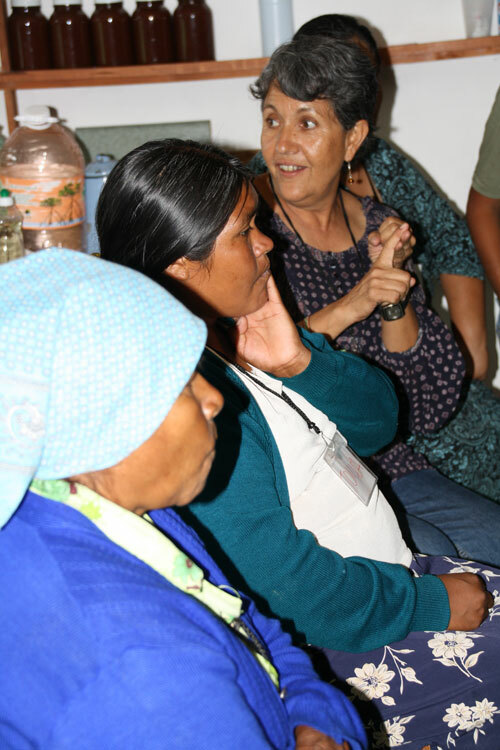 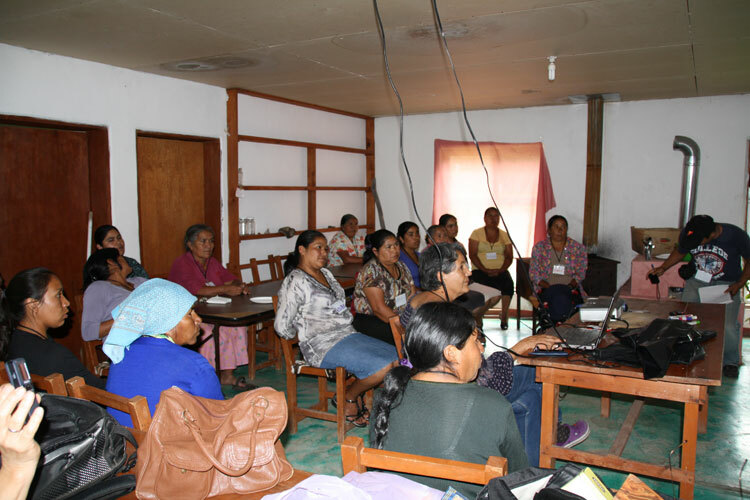 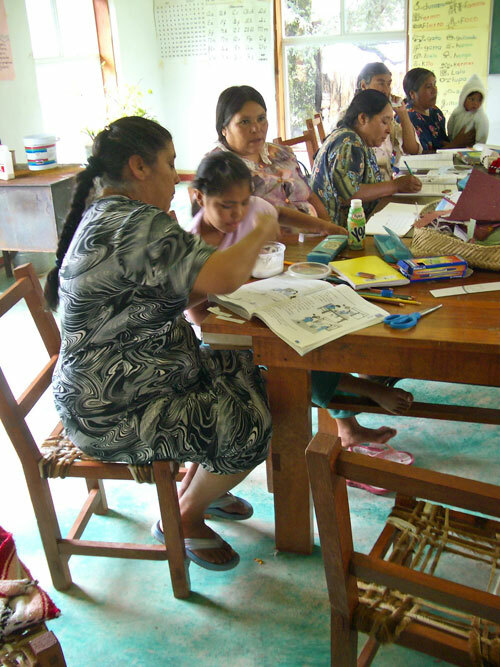 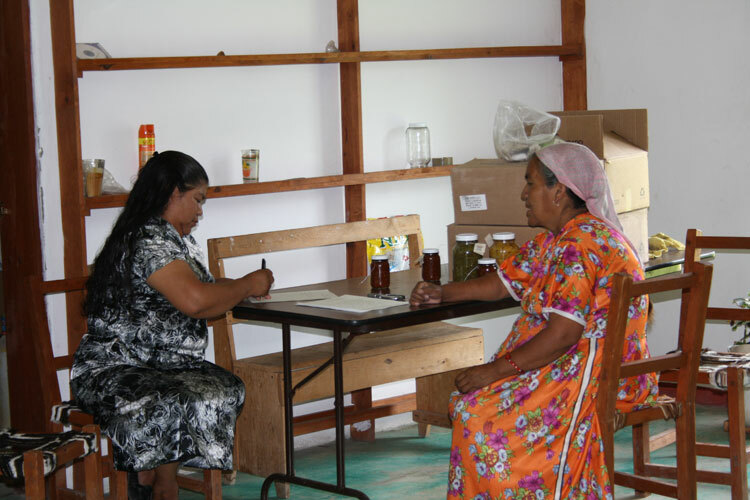 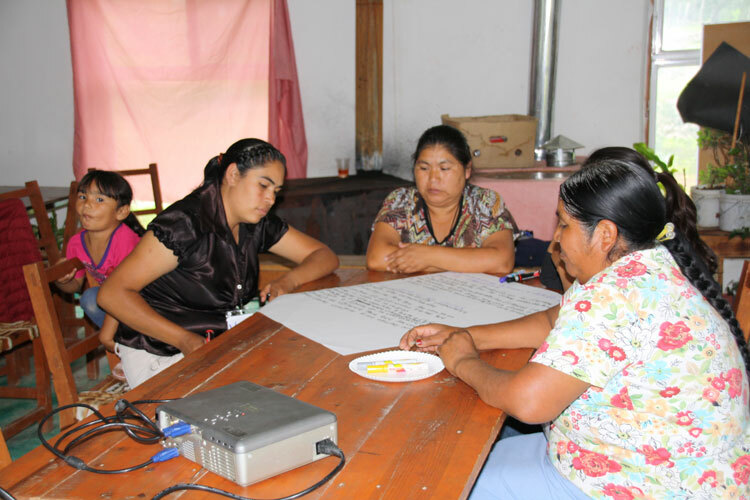 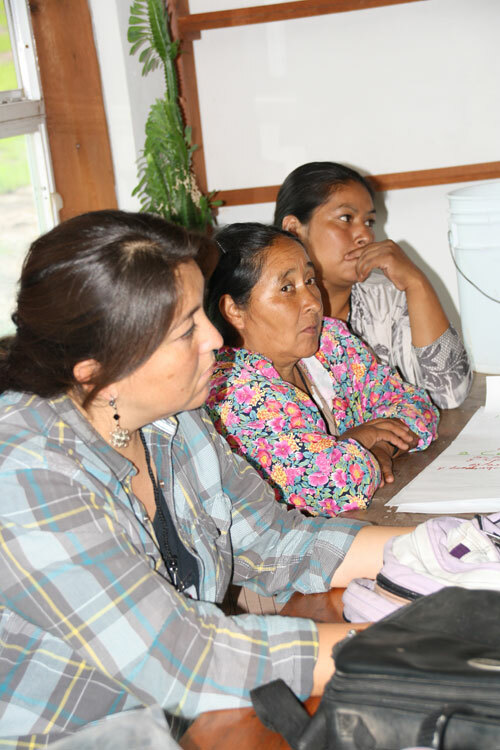 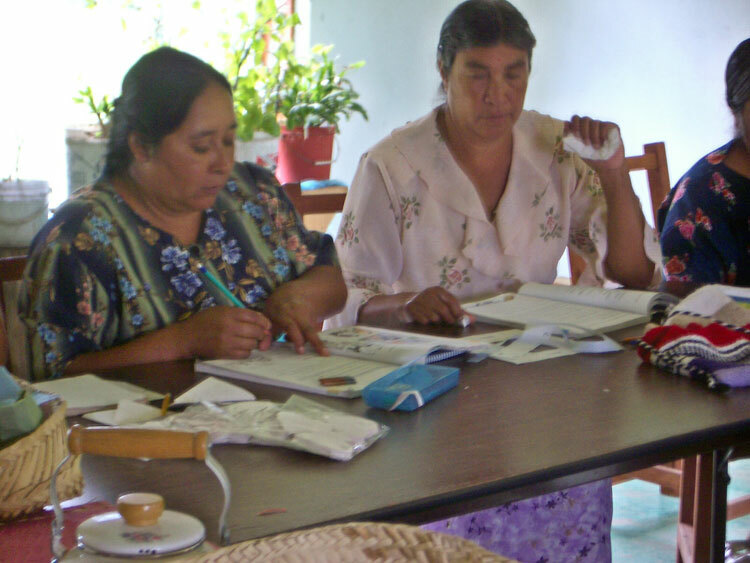 The project not only contributes to the family income but also enhances their own position within their families and the community and has helped to develop a new understanding and awareness of self.